Congratulations on your upcoming Wedding Event! My Wedding philosophy is quite simply, that today it now takes much more than just grabbing a cheap consumer grade digital camera and shooting the usual boring “Grin & Grin” shots, or those so badly composed or poorly exposed that you wonder why they were even shot in the first place? Unfortunately, we’ve all seen or heard about this sad end result way too often. 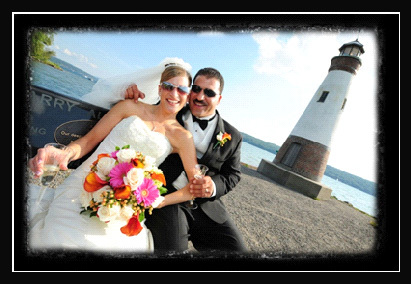 It takes a Photographer with vision, with an artistic eye keen to “seeing” movement, light, and to have a proven play-by-play mentality to capture all the little things which make the day so distinct in the first place….to make your pictures reflect, well, “YOUR” Special Day! 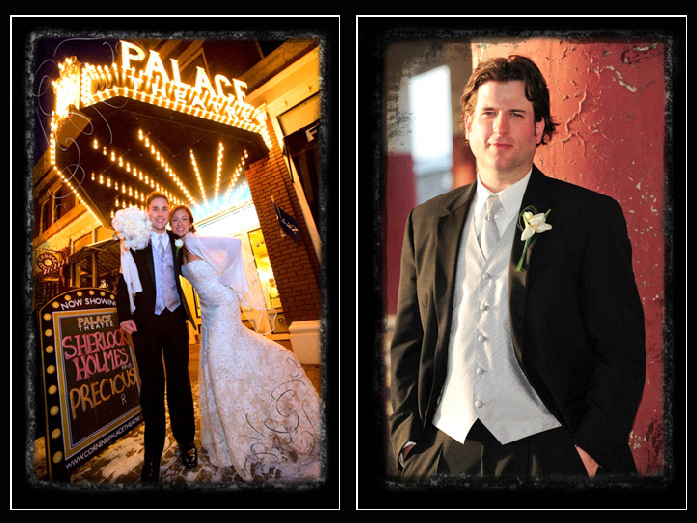 Just a few examples of moments I have been lucky enough to witness & capture over my twelve years of shooting Weddings & Engagement Shoots Full Time….and Twenty-Five Years shooting them both Full and Part Time. I’ve even been inside the White House on May 18, 2010 for a very special Engagement Shoot for one of my Summer 2010 Wedding Couples! Very few non-press credentialed photographers ever have the opportunity of this very special priveledge. On May 19, 2010 I attended & photographed President Barack Obama at the Official Formal Welcoming Ceremonies of His Excellency Felipe Calderon Hinojosa – President of Mexico, on the South Lawn of the White House. Now how neat is that? I’ve been in the right place at just the right time to see the four year old princess sticking her finger in the cake to give it a preliminary test. I’ve seen that “look” in a Father’s eye as he gives his Little Girl away. I’ve captured the little Ring-Bearer being carried away kicking and screaming after he refused to walk the entire way down the Church aisle in front of a full house of family and friends! Having a great sense of humor also really helps getting some great shots, as proven quite a few times, like when I’ve been there to catch Dad at the end of the night, with tears in his eye as he signs the check to cover the evening’s bill at the Country Club! These are the images which will always live in the minds of all those attending, so why shouldn’t they also be among the premier photographs gracing the pages of your final album? They WILL be if I’m capturing your Wedding Memories! 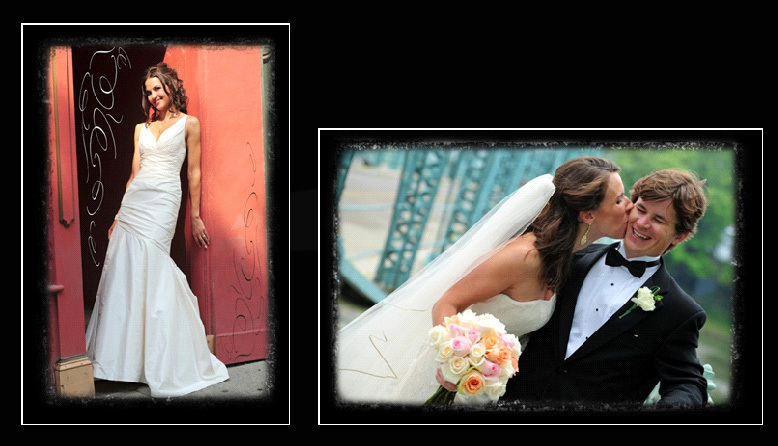 My goal and objective is to provide you with a personalized approach in which I will cover your Wedding as a Painter in the Art of Photojournalism, and capture your day with dramatic & meaningful results. By shooting your Wedding as a news or sports photographer would cover a hot story or a big game, the results can be breathtakingly fresh and exciting. 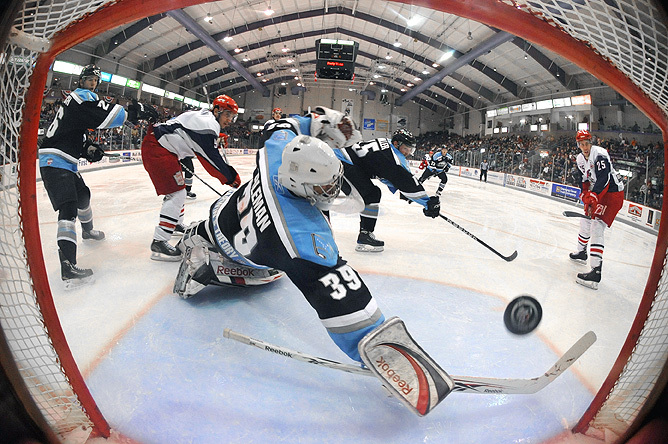 Being an accomplished nationally and internationally published sports photographer doesn’t hurt either. Strange as it may seem, my sports experience helps my Wedding skills in that I can anticipate the action in much the same way that I do when shooting Ice Hockey or Lacrosse for example, by being prepared for the expected and many times unexpected movements and flow of events. 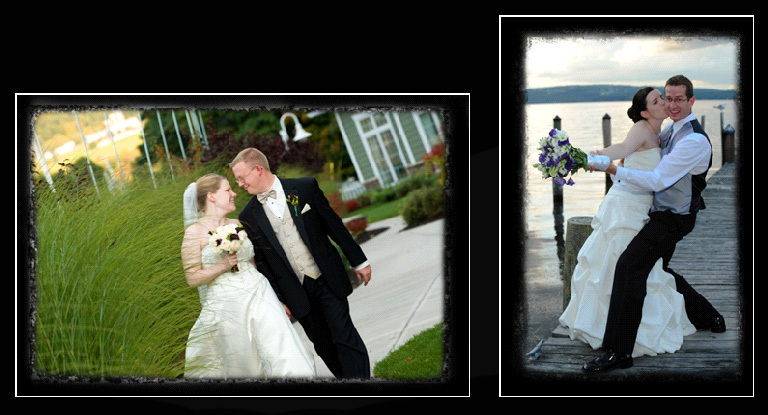 Having now captured well over 600 Weddings over 20+ years of shooting, I am acutely aware of all the sights and sounds surrounding Wedding events, and also of seeing and using the way light is falling on a subject, and I can use these tools to our advantage while really great images can be captured. 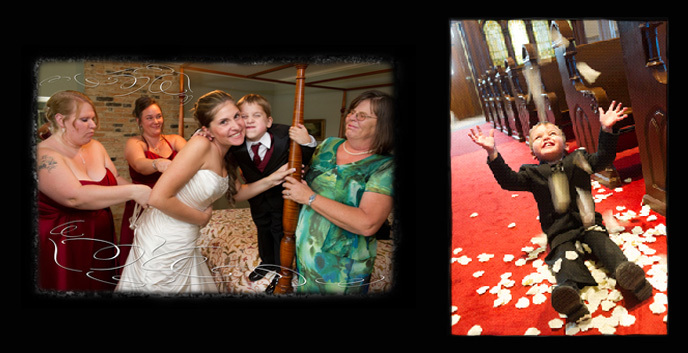 In addition to shooting quickly and taking a lot of pictures…usually averaging well over 2000 for each Wedding & Rehearsal, we can be rewarded with that “tremendous” shot that you have always dreamt about since you were a little girl playing Wedding Day. Ever mindful to act & dress professionally, I never drink alcohol or smoke, I always wear very professional business suits & to kick things up a bit while I’ll be standing all day, I usually try to wear Chuck Taylor’s & button up suspenders that match the colors of your Wedding Day if at all possible. I’ve now got like 25 pair!!! I liken myself to a “Ninja Photographer”, as I have the proven uncanny ability to blend into the shadows. I intuitively see something that is about to happen, I get there a split second before it happens, and I capture it and then I’m gone, I’m looking for something else, often “Shooting from the Shadows”. 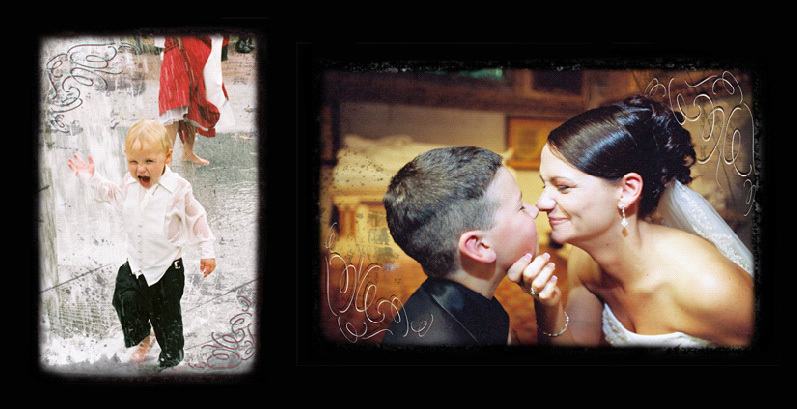 Most of my clients come to me via word of mouth, while some also come “eye to eye”, which is to say that they SEE how my Photo Journalistic approach can affect their keepsakes. Our generation has grown up with a highly advanced and discerning eye for visual presentation, and they want that “Wow” factor whenever it can help tell their story. That’s what I have become very good at throughout my career. It is very personally fulfilling to me to capture these beautiful pieces of art for my Brides and Grooms, who, through our combined efforts and experiences over the Wedding weekend, become my friends. Together we will have truly captured not just pictures, but the essence of one of the most special times of your lives.Now is that a great job, or what? What I’m getting at here is that you can’t be great at everything. It’s a simple fact. 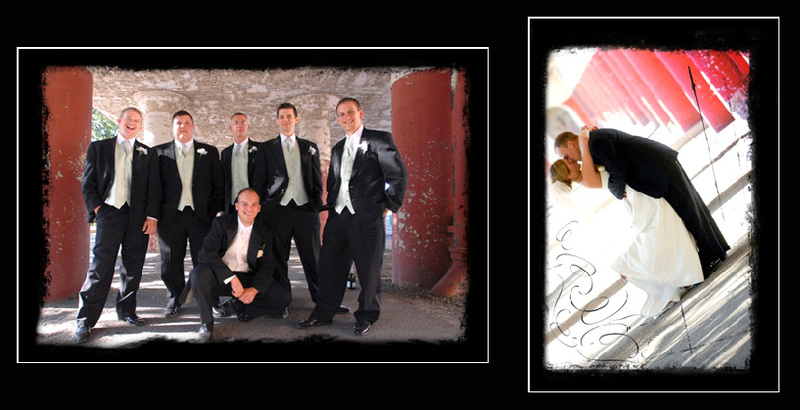 It’s a fact that you do not want to find true first hand, with disappointing Photography of your Wedding Day Memories. Remember the old saying…”You get what you pay for.” I’ll finish with one more bit of wisdom that I heard from the country’s leading Wedding Photographer Denis Reggie, when I attended one of his workshops held in Utica, NY…and as Denis correctly & proudly proclaimed, and that is simply “Good is Never Cheap….and Cheap is Never Good”…you just can’t argue with that kind of logical reality! Beautiful, Emotionally Moving, Sweet, Surprising and Fun Images are there, just waiting to be had. You simply need Vision, like what I’ve acquired and fine tuned, and turned into a part of “me” while being a part of hundreds of Wedding Celebrations throughout my career. Using landscaping, architecture, even things as simple, special and unique as your own personalities, favorite hobby or sport, they provide me with great opportunities which can allow us to capture those special little pieces of your lives, and at the same time we can have some fun! Hardly any boring or dull posing sessions from me…I Promise! Your Wedding day will absolutely fly by, and I guarantee that I won’t cause you to miss any of it! I never lose sight that your Wedding is a Celebration of Life, and that I have the honor to capture that day and those memories as it takes on a life of its own. 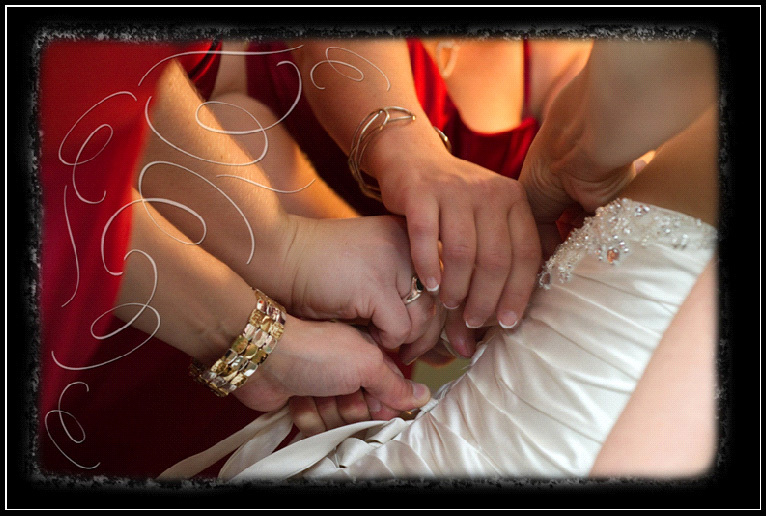 Your Wedding day belongs to you, the Bride & Groom, as will the images that I create, the images that will bring to life forever your memories of that very special day in your lives.